Home » Blog Are Adverse Childhood Experiences making you sick? When I was 9 years old, I developed a severe headache that caused one side of my body to go completely lame. I wasn’t even able to speak properly and was rushed to the hospital for an EEG. I was diagnosed as suffering from a migraine and sentenced to a lifetime of misery. Every time I have the slightest amount of stress (whether good or bad), I end up bedridden in terrible pain for 2-4 days. I’m sure you can only imagine how incredibly disruptive this has been from a family and career perspective. What I know now is that my migraines, and indeed so many other health concerns I have suffered from over the years, can be attributed to adverse childhood experiences. But what is an adverse childhood experience? Did you know that there is an index that measures the impact of childhood trauma (known as adverse childhood experiences) on your health? The CDC and Kaiser Permanente published a study in the mid-90s that found a direct correlation between childhood abuse and neglect and health and wellbeing later in life. It was found that there is a direct correlation between the level of childhood stress and a number of leading illnesses like heart disease and lung cancer. You may brush this off as being related to societal conditions, right? The study found that even adults who had lived healthy lives, who ate a balanced diet and exercised, were still more likely to succumb to illness and had a much higher mortality rate. Scientists found that this was, in fact, because chronic (long-term) stress affects how a child’s immune system, brain and hormonal systems develop. It even affects how DNA is read and transcribed. In other words, when a child is constantly and pervasively under threat from abuse, neglect or a parent who struggles with addiction or mental illness, then that stress will actually change that child’s physiology. Can you imagine the far-reaching and long-term medical implications? “Can you undo the health effects of adverse childhood experiences?”. Last year was the first time I sought help for debilitating migraines using hypnotherapy. Twenty-sixteen was one of the worst years of my career. A nursing colleague who only met me over the course of one weekend (the weekend my mum was dying), decided to report me to the Nursing Council saying that I was unfit to practice. It took 15 months to clear my name. After I’d won the battle to prove my innocence, I bought a freedom ring to celebrate. But instead of feeling good, the stress finally caught up with me and I was struck down by waves of headache after headache, often overlapping each other (this is known as Status Migrainus in medical terms). My GP could do nothing to treat the migraines and suggested hypnotherapy for the pain as well as to help with the depression I had sunk into. Genius! I consulted with a great friend and fellow hypnotherapist, and together we went back to an adverse childhood event. I was nine years old, in the A Grade of primary school. We had a substitute teacher, the first male teacher I’d ever had. This teacher was mean-spirited (he threw rubbers and was very handy with a ruler!) and had a thick northern accent that I struggled to understand. Shouting at us was the norm. In hypnotherapy, I remembered how I had stood up to this scary and intimidating figure in order to protect one of my fellow classmates. After this incident I was moved to the B stream, never to return to the A stream again. It took 55 years to understand the cause of the stress that started a cascade of illness including Polycystic Ovary Syndrome, Hashimoto’s Thyroiditis, Fibroids, cancer of the uterus and Rheumatoid Arthritis. This early trauma was possibly later compounded by being raped at 15, not telling my parents until I learned I was pregnant, having the child and giving her up for adoption. The CDC-Kaiser Permanente report reveals the link between childhood stress and autoimmune diseases as well as chronic illness as an adult. I’m so delighted to report that my headaches stopped! After the hypnotherapy sessions with my colleague, I listened to the recordings she gave me for 21 days and my stress level dropped dramatically from 8/10 to 2/10. I have only had one migraine headache since! 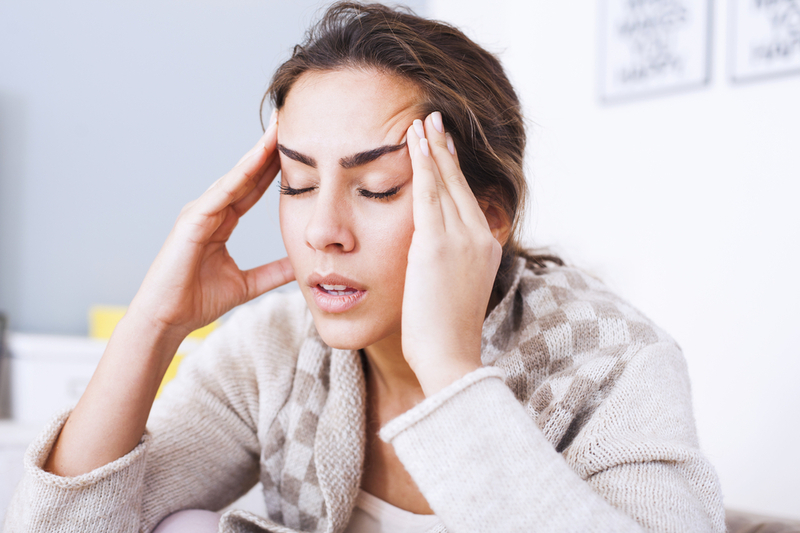 Would you like to find out hypnotherapy can help your migraines or other ailments? Book a free discovery call now!